Winter is officially over north of the Equator, though many of us haven’t seen any warm temperatures yet and are in the middle of what we fondly call “mud season,” that time of year when snows are melting and the ground is soaked and muddy. For those of us growing spring vegetables, the gardening can’t wait for the ground to dry off so we slog it out in muddy boots trying to prepare beds for planting. Just today I was out checking for any signs of sprouts in our new raised beds and had water running into my shoes. Thanks to everyone who joined in this month. We had six participants from three countries, and we cooked with our homegrown kale, lemons, Meyer lemons, lettuce, basil, and scallions. Welcome to our new participants! If you are new to Grow Your Own, you can visit the Grow Your Own page to learn more about the event. Nate and Annie of House of Annie are hosting for April, and the deadline is April 30. Stay tuned for more information from Nate and Annie. I’m booking hosts for the coming months, so please send me an email if you are interested. And be sure to visit the Grow Your Own Flickr photo group to see all the things we’ve been growing and eating. 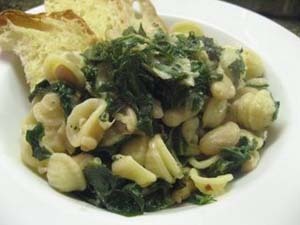 Sauteed kale with garlic and orecchiette. 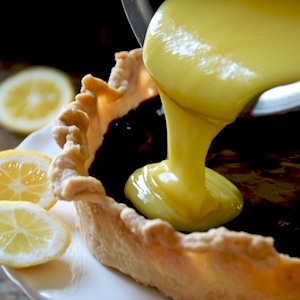 Meyer lemon curd, espresso chocolate ganache and rustic crust. 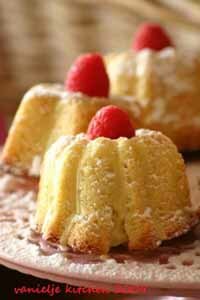 Lemon sour cream cake, lemon glaze, and fresh raspberries. 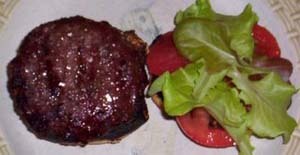 Indoor lettuce on a fresh grilled burger with tomato. 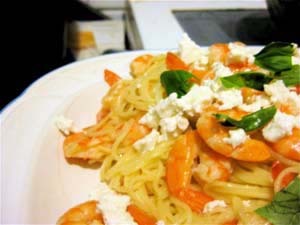 Shrimp, basil, feta, and cappellini. thanks Andrea. It’s great to be able to join an event again and I have been going through past roundups. I’m not going to offer to host yet as it seems to be the kiss of death to my blog. Love the event though and hope I can keep joining as we go into SA winter.